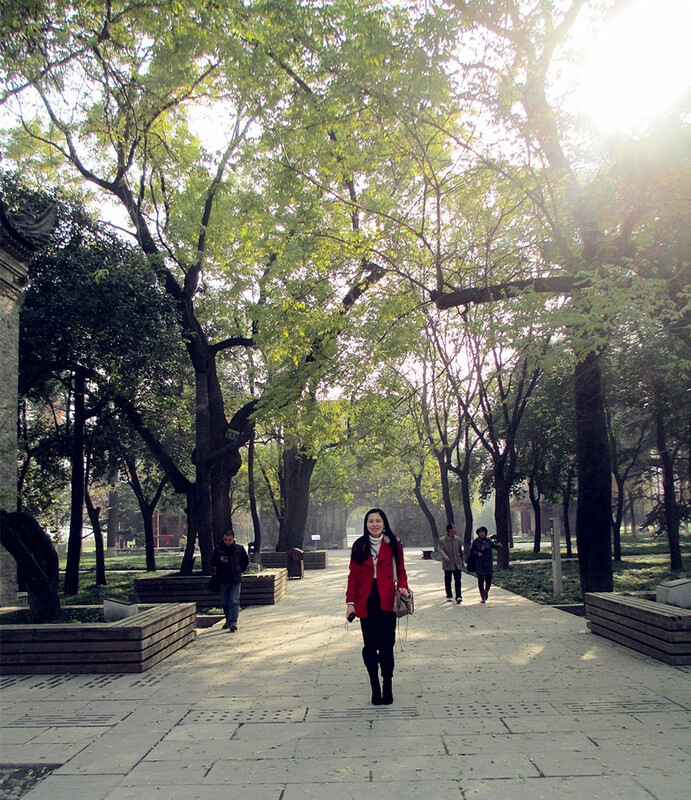 At the end of the year, I was received a reward with a delightful tour to Beijing, Shanghai, Suzhou and Xian. Ancient capital City Xian was my first stop. It gripped me soon after I set foot on the land. Many places there retained their ancient names, like Hanzhong (汉中), Xianyang (咸阳), Lintong (临潼)… which were very important military, cultural or political towns during China’s Qin Dynasty ((770-476 BC). 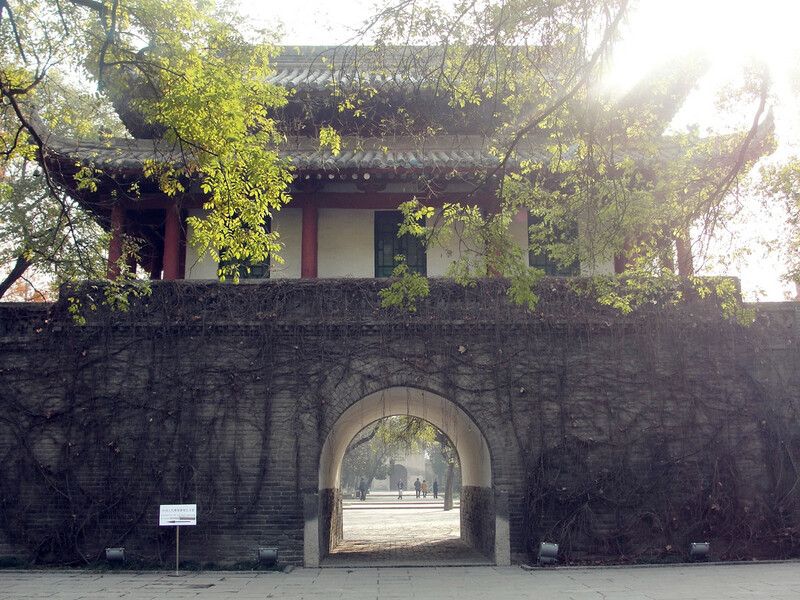 A visit to Xian surely focused on museums such as Terra-Cotta Warriors and Shaanxi History Museum, and the old architectural structures, such as the Old City Wall. And the Small Goose Pagoda & Xian Museum standing in the same place offered both museum and old buildings. 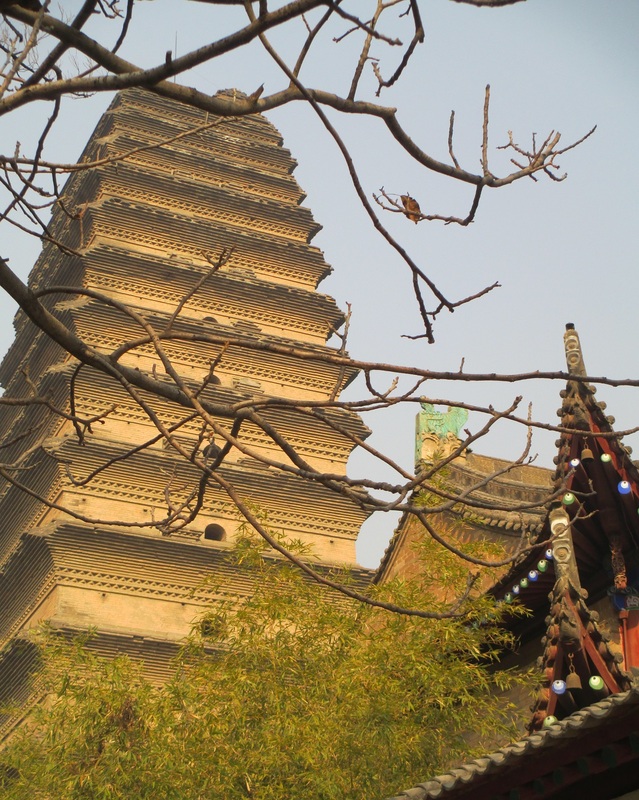 1300-year-old Small Goose Pagoda was thirteen stories tall (originally 15 stories), reaching 43.3 meters (142 feet). it was smaller than the Big Wild Goose Pagoda, so the name was given to it. Look closer, I found the outer appearance has been slightly damaged. It was due to more than 70 great or small earthquakes. However, the multi-eave brick pagoda still stood steadily, showing ancient craftsmen’s superb architectural skill! 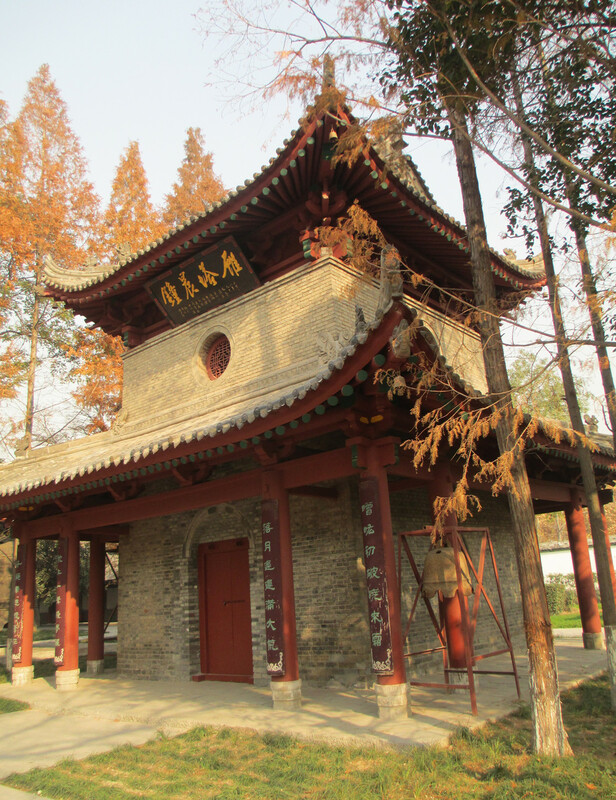 Today, small Goose Pagoda area was built into an elegant park, a perfect mix of history, Buddhism and peace. Dozens of Chinese scholar trees were planted accompanying Small Goose Pagoda and Jianfu Temple in Tang dynasty (618-907). 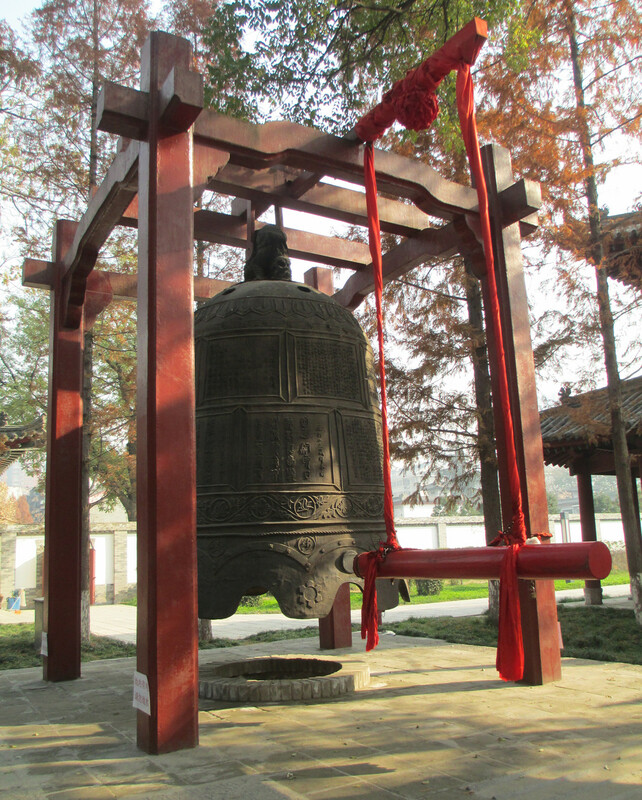 I also noticed the "Yanta Tower Morning Bell", which was made by iron weighing at 8000 kilograms, 3.55 meters high, with edge diameter of 2.5 meters. I was told that it was one of the eight major cultural sites of Shaanxi province and the sound it made that could be heard over three miles away. While Xian Museum was a historical and cultural site with a collection of 130,000 pieces of relics from different historical periods to help us learn the history of Xian, when enjoying the peaceful and relaxed time.